The #1 academic performing secondary school in the Appalachia Intermediate 08 area for the 2012-13 school year. Welcome to Portage Area High School, home of the Mustangs. My name is Ralph J. Cecere Jr. I have had the privilege of serving as the Junior/Senior High School principal for the Portage Area School District for the past 12 years. We are very excited about the continued achievements of both our students and staff here at Portage. We are a small school with high expectations and our students continue to impress. 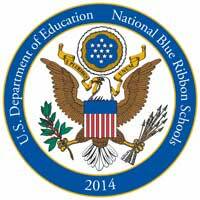 In 2014 the Portage Area JR/SR High School was awarded the distinguished National Blue Ribbon for the United States Department of Education. In 2012-13 the Portage Area JR/SR High School ranked as the #1 academic performing secondary school in the entire Appalachia Intermediate Unit 08 which consists of over 30 school districts. 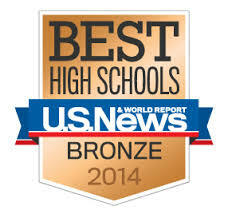 This accomplishment is the result of a positive school culture and the efforts of both our students and staff. 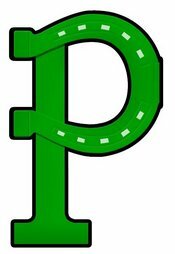 Students here at Portage get a well-rounded education by not only succeeding in the classroom but also through an array of extracurricular activities that help create educated and productive citizens. Our faculty constantly strives to provide the best possible education for our students. Whether it is curriculum alignment to PA Core Standards, engaging classroom lessons, or a virtual field trip experience, our staff makes student achievement a top priority. Please do not hesitate to attend any school function and see for yourself why we believe the Portage Mustangs are in a class of their own.